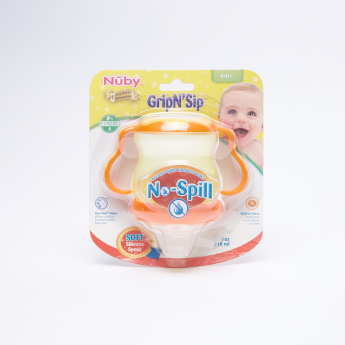 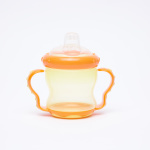 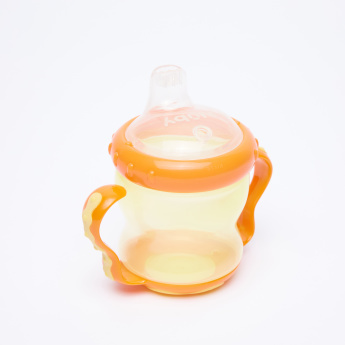 Nuby Non-Spill Training Cup with Handles | Orange | Non-Spill. 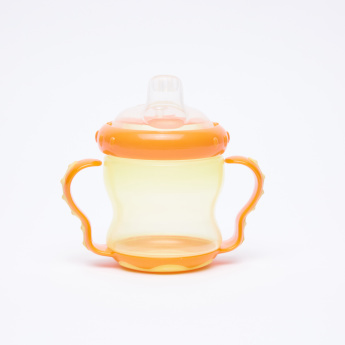 Encourage your child to consume liquid food or milk with his own hands by getting this training cup. 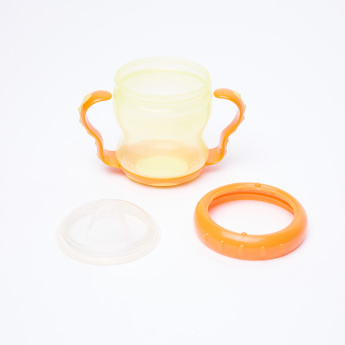 It comes with a lid that prevents spilling of food and uniquely designed handles that provide a firm grip.